Beautiful Camber holiday homes, holiday cottages and short term holiday lets to rent. 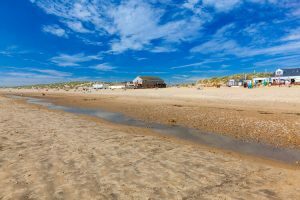 Camber is very popular for short breaks and family holidays in summer offering affordable holiday rentals by a stunning sandy beach! Camber is a village located three miles south east of the popular medieval town of Rye. It is home to the only sand dune system in East Sussex which offers unspoilt views of sand and sea for miles. 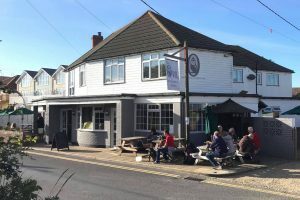 The village remains a popular destination with locals and visitors all year round- whether you are looking to spend a chilled out day on the stunning beach or explore the nature trails, kite surf or take a boat trip, Camber has it all. Camber Castle build by Henry VIII to guard the port of Rye, is located between Rye and Winchelsea. It is open for visitors on the first Saturday of the month between August and October for a guided tour. Birdwatching at the nearby Rye Harbour Nature Reserve is a must for nature lovers with a range of habitats where you can see rare species. Camber is one of the UK’s best locations for beachcombing so grab a stick and see what you can find! Camber Sands is a beach at the village of Camber and is the only sand dune system in East Sussex- a fabulous stretch of unspoilt sandy beach. This is one of the most loved beaches in the South East especially for water sports with perfect conditions for windsurfing, kitesurfing and sailing. 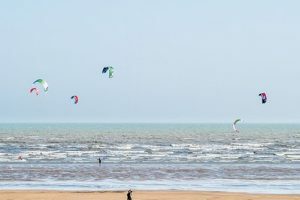 Owned and run by three brothers, The Kitesurf centre offers those staying in one of our Camber Holiday Homes land activities and kitesurfing as well as Stand Up Paddle boarding lessons all year round. There is also equipment available to hire and an onsite shop. The instructors are professional, patient and fun which means you are set for a session or a full day where you will learn new skills. Children aged 8 and above are welcome to take part in the land based activities and those aged 12 and above can try the kitesurfing. 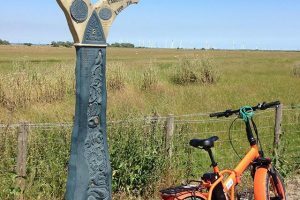 Located right on the UK national cycle route 2, with miles of off road cycle path, there’s some fantastic places for you to explore on your Ebike or pedal cycle. Once you are on your bike, supplied with a lock, helmet and high visibility jacket, you can enjoy the scenic routes with lakes, nature reserves, castles and lighthouses. 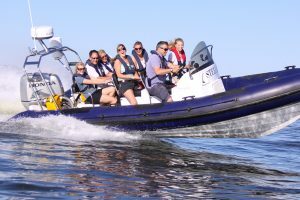 Take on a 30min high speed Rye Bay boat trip on one the RIB from Rye Harbour to the channel and out to sea. It’s a great value for money and a great experience for those who enjoy speed boats. Families and groups welcome. 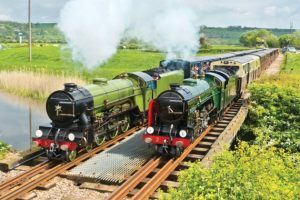 The Romney, Hythe and Dymchurch Railway runs on a 13.5 mile narrow gauge railway from Hythe to Dungeness allowing you to explore this unique corner of the South East whilst staying in one of our Camber Holiday Homes. There are excellent catering facilities and good station shops at some stations along with the ever so popular Model Railway Exhibition, the RH&DR is a great day out regardless of the weather or your age! The Owl is a Free House offering a selection of beers, local ales, spirits and wines in a traditional setting. The menu consists of locally sources fish, meats and seasonal vegetables to create home cooked, hearty meals for everyone. The staff are very friendly and visitors will receive a very warm welcome and an excellent service. 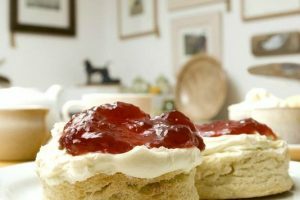 This lovely tea room serves home made cakes and scones, light bites and ice creams. You will find the work of talented artists, printmakers and designers who create some fabulous jewellery, garments and award winning photographs all inspired by nature. 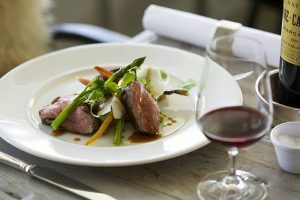 Whether you are dining in the Restaurant or stopping for a drink in the Sitting Room, Snug or Bar, you will be welcomed in this elegant establishment which sources the best ingredients to prepare delicious home made dishes. The wine list is extensive with local and visitors able to try some of the best wines available from the nearby vineyards. If you are looking for a breakfast place to fill you up until lunch, then stop by the Coastal café. Everything is cooked fresh, staff are lovely, and service is great. Jacket potatoes are certainly a hit with locals and visitors. 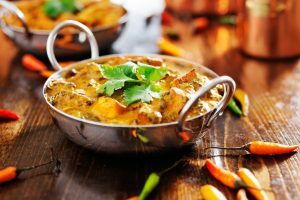 Khan’z offers a great selection of Asian dishes to eat in or take away. The service is friendly catering for both small and large groups. Just minutes’ from the beach, Dunes Bar and restaurant offers reasonably priced drinks and food. Fish and seafood from the surrounding area is available on the menu. Dogs are welcome to join you whilst you have a drink or dine on the decking area. 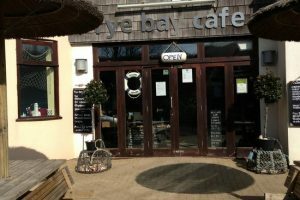 Eat, drink and relax at the Rye Bay café popular for its beer battered cod, homemade burgers and selection of vegetarian dishes. A wide selection of drinks are also available including lager, ales and bottled beers. 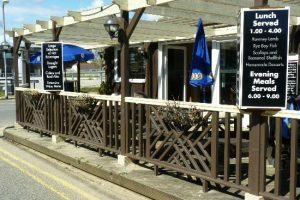 The location is perfect and on a sunny day you can enjoy sitting outside with the highest dune in Camber just opposite you. Small dogs welcome during at lunch times. 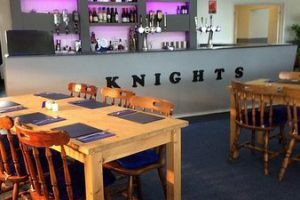 Family friendly with a good children’s menu, darts board, Juke box, pool table and karaoke nights. There’s a good selection of drinks too- from draft lager to bottled ales. If you are travelling to one of our Camber Holiday Homes from London Victoria Coach station, take the National Express coach to Hastings with an approximate journey of 2 and a half hours. From Hastings take the 100 -the Wave bus to Rye with a journey of about 40min. From Rye, take the 102 bus on a 13min journey towards Lydd. 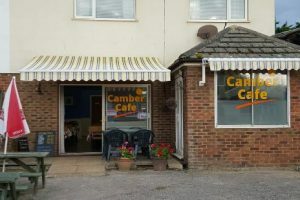 The nearest train station to Camber is in Rye, 4 miles away. Trains from London St Pancras International run every hour- change at Ashford International for the Southern service to Rye- a 70 min journey in total. From Gatwick Airport trains to the South East coast run every hour will take you to Rye in just under 2 hours. If arriving at London Heathrow, you will need to travel to Paddington and take the Underground to London St Pancras International and change at Ashford International for Rye followed by a short taxi ride to Camber, or take bus 102 which goes via Camber.